Bitumen emulsion: area of application - GlobeCore Bitumen Emulsion. Road construction is not the only sphere of bitumen emulsion application. This material is also used for protection of concrete structures, for subsoil penetration, as well as for painting of metal parts. In industrial engineering, bitumen emulsions are used to make heat and electric insulation materials. Paper industry uses bitumen emulsion for production of waterproof cardboard, while agriculture uses it for quick sand strengthening, as well as for support of soil temperature and water balance. This wide application of bitumen emulsion became possible due to the capability to be used in cold state. This provides a variety of important advantages, compared with “hot” technologies. So let’s review the most effective applications of this construction material. Tack coating is the application of bitumen emulsion by spraying a thin layer, assuring reliable adherence of asphalt-concrete mix and the underlying layer. This binder layer is not just advisable, but essential in construction of most types of road coatings, including cement concrete subgrade and the underlying courses. Application of primary coat is one kind of tack coating. The nature of this operation is in spraying emulsion on granulated subgrade to prepare it for further asphalt concrete laying. It is better to select a slow setting emulsion with bitumen content of 55-60% by weight. The actual quantity of applied emulsion depends on subgrade properties and is generally around 0.4-1.4 l/m2. Road-surface treatment is mostly connected with new asphalt-concrete coatings (various kinds of black and cement concrete coatings), as well as used road top. It assures sufficient tire traction with the coating surface and also extends road life. With the surface layer, the road top becomes even, waterproof, wear resistant and compact. These operations are relatively inexpensive, both for surface treatment of secondary roads and for application of wear resistant coating on roads with high traffic loads. The road bed will have adequate strength. Pavement layers can be created by repeated application of gravel, its consolidation and penetration with bitumen emulsion. For such treatment, slow breaking emulsion is usually used with bitumen content 50-65% by weight. 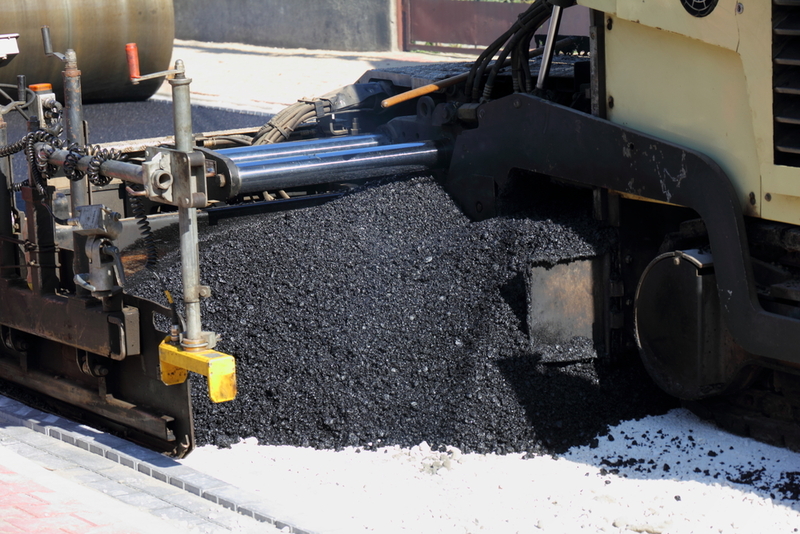 Application of bitumen emulsions expands the capabilities of road patching considerably. First, it makes the process much simpler. Second, it expands the seasonal window of repair works. Due to bitumen emulsion properties, repairs can be performed in early spring and late autumn, as long as the ambient temperature is above 5ºС. It is also possible to use wet materials: cationic bitumen emulsion allows fast forming of binding film and ensures strong adhesion to the surface of most mineral aggregates. Bitumen emulsion consumption for patching usually amounts to 1.3-1.6 l/m2 for each centimeter of depth. If cracks appear on the road surface, bitumen emulsion can help also. It is mixed with fine-grained sand; then the cracks are filled with this mix, leaving several millimeters to the surface. This substance should then harden, and afterwards the remaining space is filled with pure bitumen emulsion. At the final stage, surface is covered with sand to avoid loss of patch material. Bitumen emulsions are also used as waterproof materials. Table 1 shows the binding material consumption in the leading countries of the world. The world leader in bitumen emulsion production (by volume) is the USA. As for the relative fraction of this material in binding consumption, France is in the lead. Special bitumen emulsion plants are used to make this product on industrial scale. The production rate of the plant is chosen based on the customer requirements. GlobeCore manufactures the UVB-1 bitumen emulsion plants. With this equipment, it is possible to easily commercialize bitumen emulsion by meeting the global quality standards both for civil and road construction. Depending on customer requirements, GlobeCore can supply equipment with production capacity from 1 to 32 m3/hour.